Evaluating teachers is an essential part of the job of a campus administrator. Visiting classrooms, conducting walk-throughs, evaluating teachers, and reviewing instruction is one of the primary jobs of a principal. Each school district uses various tools and instructional models to evaluate teachers. In Texas, most districts use a system known as ‘T-TESS”. The T-TESS systems provides teachers and principals an opportunity to set instructional goals while incorporating best practices of instruction into lesson planning and delivery. 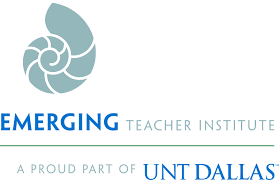 At UNT-Dallas in the Emerging Teacher Institute, we have adopted the NIET Rubric as a tool to help assist teacher candidates in their learning. The rubric measures the candidate’s ability to manage the instructional environment and gives the evaluator instructional language and areas to collect evidence in order to grow the teacher. Take a moment to download and review the NIET Rubric. In addition, ETI has adopted the TAP Big 6 Indicators to assist teacher candidates in their growth and formation. The Big 6 indicators work to focus on specific areas of the instructional environment for teacher candidates to refine and improve on as they progress through their clinical work. Take a moment to download and review the TAP Big 6 Indicators. Take a moment to read over the TAP Big 6 Indicators Rubric. Review the differences between “Unsatisfactory” and “Exemplary”. Our goal is to produce a “Proficient” teacher. We always want to strive for exemplary but we will most certainly fall short. No one is a perfect 5 everyday, all day, all of the time. There is no shame in proficient. We strive for proficient and this is where we want our teachers to be most of the time. This first video will be a practice as a way to get your familiar with the TAP Big 6 Indicators Rubric and to create a methodology for evaluating teachers. Every administrator has their technique in place for taking notes, scripting, and evaluating teachers. You will develop your own as well. Watch the following video. Use the TAP Big 6 Indicators Rubric to rate the teacher. Take notes as you watch. At the conclusion of the video, submit your ratings through the Google Form found here. Now that you have had some practice observing a teacher and providing some basic feedback, let’s take it a step further. Watch the second video. Again, use the TAB Big 6 Indicators Rubric as your guide to observe and rate this teacher. Take notes of the teacher as you observe. At the conclusion of the video, you will submit your ratings but also provide the teacher with two areas of REFINEMENT. Refinement refers to areas that the teacher can improve upon in her future lessons and planning. Your job as a campus administrator is to coach teachers who demonstrate a need for refinement in specific areas. This is why the rubric is essential. As an observer and evaluator, you will use language from the rubric to clarify and document the areas of growth that the teacher needs most. Notice that I provided the teacher with an area refinement in the area of academic feedback. I would follow-up with the teacher, refer her to the langauge of the rubric, and provide coaching opportunities in this area. I would schedule another time to visit (most likely a series of walk-throughs) and purposefully observe if the teacher is improving in this area. PLEASE NOTE: we are not ignoring the other areas of the rubric. However, for this example, we are focusing on the professional growth of the teacher in the area of academic feedback and this area will get more attention at this time. Now it is your turn. Watch the video. Look for 2 areas of refinement. Submit your answers to the Google Form here. Now you are becoming a professional. Coaching and evaluation of instruction is a critical part of the job of a campus administrator. The more opportunities you have to practice, the better you will be at providing coaching and feedback for your teachers. This final video will require you to be far more detailed. For this teacher, use the NIET Rubric to evaluate the teacher. You will notice that the rubric has 19 indicators including the 6 that you used for the previous two videos. The NIET Rubric is a far more comprehensive instructional evaluation tool that measures the teacher’s ability to effectively manage the entire instructional and classroom environment. You may not observe in a short period of time all of these indicators. However, you should observe them over the course of several walk-throughs and observations during the course of a school year. If you were to observe a teacher’s classroom 20-25 times and NEVER see a particular indicator, that is a problem. These indicators represent the reseach-based, best instructional and management practices that should be found in every classroom. For this video, it may very well be possible that you will not observe all 19 indicators. You will find on the Google Form that I have reserved a place for “not observed” for each of the indicators. If you feel that you did not observe that indicator during the video, please mark “not observed”. You will also provide this teacher with two areas of REINFORCEMENT. Reinforcement is evidence that the teacher excelled in one or more indicators of the rubric. Just like Refinement, you will use language from the rubric along with your evidence (documentation) to provide the teacher with two areas of reinforcement. Review the NIET Rubric. Read and understand each indicator. This will help you identify the indicator when you see it. Take notes throughout the video. Anytime you see evidence of an indicator, write that evidence down (documentation). Every teacher should start at proficient. Your job is to justify moving the teacher up or down for the indicators using the documentation you recorded. Organize your notes. Draw boxes on your paper for each indicator to organize what and when you see evidence. If you don’t like boxes, skip lines or fold your paper. This will help you when you enter your data (and if you had to have a conversation with this teacher later). After all students have submitted their ratings for this video, I will provide for you my observation scripting notes, my ratings, and my areas of Reinforcement. I will also provide the class with the class average for this teacher as a reference point for you and your classmates. Ready? Watch the video. Look for 2 areas of Reinforcement. Submit your answers to the Google Form here.